E. Kee, M.K. Johnson and H. Farid, "Digital image authentication from JPEG headers", IEEE Transactions on Information Forensics and Security, vol. 6, pp. 1066-1075, 2011. J. Kornblum, "Using JPEG quantization tables to identify imagery processed by software", Digital Investigation, vol. 5, pp. S21–S25, 2008. CCITT Recommendation T.81, ISO/IEC 10918-1:1994, "Information technology - Digital compression and coding of continuous-tone still images: Requirements and guidelines ", 1992. Z. Lin, J. He, X. Tang, Chi K. Tang "Fast, automatic and fine-grained tampered JPEG image detection via DCT coefficient analysis", Journal Pattern Recognition, Vol. 42, pp. 2492-2501, 2009. Alin C. Popescu and H. Farid, "Statistical tools for digital forensics", Lecture Notes in Computer Science, vol. 3200, pp 128-147, 2005. H. Farid, "Exposing digital forgeries from JPEG ghosts", IEEE Transactions on Information Forensics and Security, vol. 4, pp. 154-160, 2009. M.C. Stamm and K.J.R. Liu, "Forensic Detection of Image Tampering Using Intrinsic Statistical Fingerprints in Histograms", IEEE Transactions on Information Forensics and Security, vol. 5, pp. 492-506, 2010. J. Lukas, J. Fridrich and M. Goljan, "Digital Camera Identification from Sensor Noise ", IEEE Transactions on Information Security and Forensics, pp. 205-214, 2006. Mo Chen, J. Fridrich and M. Goljan , "Digital Imaging Sensor Identification (Further Study)", Proceedings. of SPIE Electronic Imaging, Security, Steganography and Watermarking of Multimedia Contents, pp. 0P-0Q, 2007. 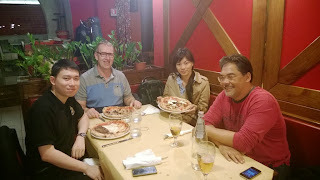 W. Wang, J. Dong and T. Tan, "Tampered Region Localization of Digital Color Images Based on JPEG Compression Noise", Proceedings of the 9th International Conference on Digital watermarking, pp. 120-133, 2010. R. Gonzalez and R. Woods, "Digital Image Processing (3rd ed. )", Prentice Hall, pp. 165–168, 2008. M. Kirchner and T. Gloe, "On Resampling Detection in Re-compressed Images". IEEE Workshop on Information Forensics and Security, pp. 21-25, 2009. Yuletide greetings from sunny Towcester Abbey, in the beautiful Sierra Pelona Mountains of California. Thanks for your support over the years. Software developers can't know everything from every corner of the world. That's a given. So when it comes to selling a single piece of software around the world, it helps to make using it as flexible as possible. Amped Software's Authenticate features this hidden gem in the Program Options>File Format dialog, you can customize the Keywords. In my practice, I see a lot of images carved out of physical dumps from cell phones. There's no way of keeping track of all the different apps from all the different countries. But, as I encounter a new one, I can research it and find out what it does to the image. Then, I can add it to the list of Keywords. I can also export the settings file (Save Settings) to share with the court or a co-worker - or load someone else's settings file. In this way, we can easily QA another expert's work, or collaborate with the larger community of experts. It's just another reason why Authenticate is head and shoulders above the competition. Folks have been wondering if Amped Software's Authenticate works with image file types other than those found on social media sites. Based on the early marketing of the product, many think it's just for .jpeg files. Well, that's not true. Unlike FourMatch (which only supports .jpeg files from within Photoshop, Amped Authenticate supports all the most common image formats and many of the uncommon ones too. Currently it allows the user to work with the following formats: Jpeg, Tiff, Bitmap, PNG, TGA, Jpeg 2000, Ico, GIF, Dicom, EMF, EPS, Photo PCD, XPM and Raw camera formats from most manufacturers. 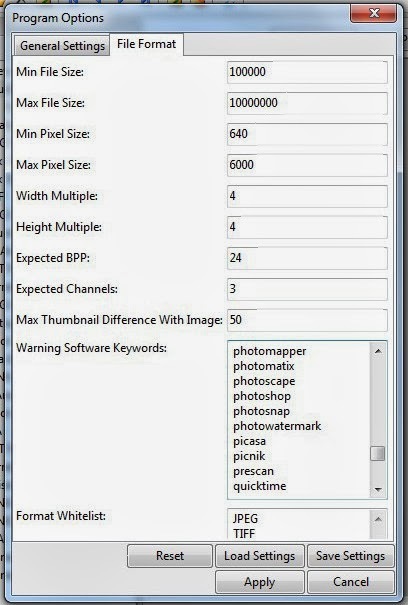 Since the most common format is JPEG, some of the filters are exclusively designed to analyze the features of this format. In any case, all the filters that work on the pixel data will work on any kind of image as well as the analysis of metadata (if present) also supports almost all the formats. This serves as great news for those folks investigating academic fraud. Many of these cases involve Dicom images used in academic articles. Now, you have a better option than HHS - Office of Research Integrity's Forensic Droplets. "The image can be resized and reoriented using "Free Transform" in the Edit Menu to test alignment of the images." Are you F--ing kidding me?! Free transform?! Thankfully, with Authenticate, you have an option rooted in sound science. This just in from Digital Forensic Investigator, "The cross-examination can be very tricky and quickly make you appear to be feeble minded. There are two types of questions often asked to catch you off guard, whereby attempting to discredit your testimony. Ambiguous Question: This type of question is designed to have a double meaning. Therefore, no matter how you answer, it can be turned around and used against you. The solution is to request clarification or ask for the question to be rephrased before attempting to answer. Two-part Question: This type of question is usually asked because the person asking it is knowingly aware that one part of the question is obviously true and the other part is obviously false. Therefore, if you attempt to answer both parts of the question at the same time, you will be caught in a “Catch 22.” The solution is to answer only one part of the question. Select which part of the question you would like to answer, then simply state, “Since this is a two-part question, let me answer the (first/second) part.” Do not automatically start to answer the other part of the question when you finish the first part. Let the other part of the question be redirected to you. Once you have deciphered which type of question you are being asked, thoroughly think through your answer before speaking, and then answer with confidence." Salient Sciences = DAC + Salient Stills! You might remember that Salient Stills was quietly acquired in July by DAC. The combined company has been rebranded as Salient Sciences. The new company announced an update to VideoFOCUS Pro, "In January, we will be releasing the latest VideoFOCUS Pro version 4.1, which incorporates a number of improvements, including drag-and-drop import of videos and image sequences and greatly expanded file format support through FFMPEG." 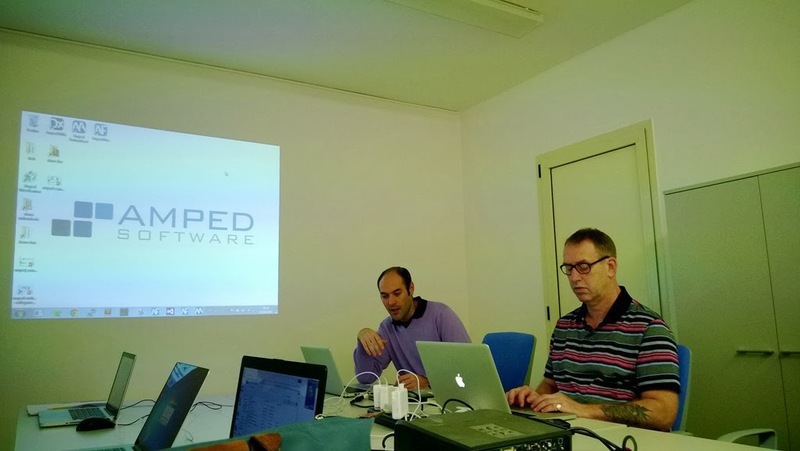 Amped Software recently announced it's participation in the MAVEN Project. 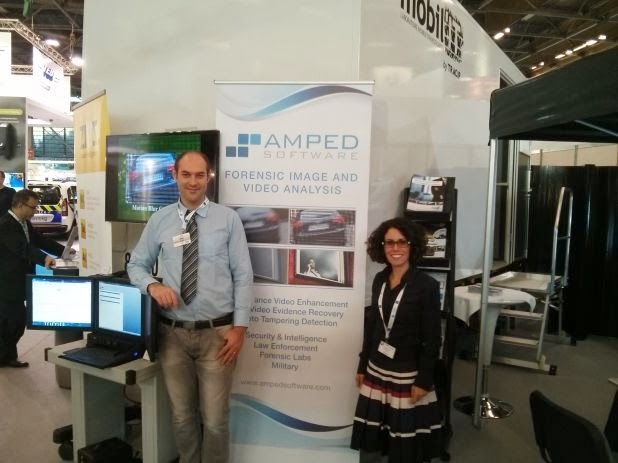 "Amped to develop new image and video forensic technologies with the MAVEN European Project. Most of our research and development activities are done internally within our company, but we also believe in cooperation with university and research institutes to further push the state of the art of the current technologies in the forensic field. In this context, we are happy to announce that we are joining the MAVEN European Project: we really think that the scientific and technical expertise of the other institutions involved in the project will allow us to develop new outstanding in the field of image and video forensics." "MAVEN is a collaborative project among seven European partners, which has been selected by the European Commission as one of the projects funded under the “Research for the benefit of SMEs” programme, in the 7th Framework Programme. The focus of this programme is to foster applied research driven by the needs of small and medium-sized companies, with the aim of producing a positive impact on their business in the short term. As for MAVEN, its technical goal is to develop market-ready, efficient and robust tools for the management and authenticity verification of multimedia contents. 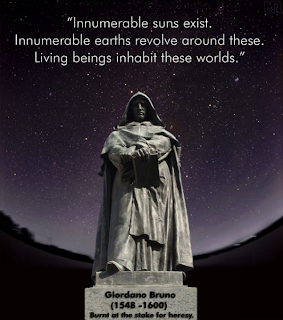 The project officially started on October 1st, and will run for 24 months until September 30th, 2015." "Despite the advances in the Security and Media sectors, MAVEN arises from the need of providing such industries with a suite of advanced technological solutions, able to operate in a range of realistic scenarios (CCTV, web images, broadcast data, etc). The project results will allow SMEs, law enforcement bodies, press agencies, insurance companies and broadcasting companies, among others, to manage their multimedia assets and verify its integrity and authenticity, all in an efficient and scalable manner." "MAVEN project will develop a set of tools for multimedia data management and security. The project’s objectives will be centered on two key concepts: “SEARCH” and “VERIFY”, both integrated in a coherent manner. This “search and verify” concept is not supported in an integrated manner by any tool currently available in the market." With the impressive list of companies involved in the Project, it should be very interesting to see what comes of it all. “If a person in an image looks so pristine they look unreal, 90 percent of the time it is unreal,” she continued. “Photoshop is an amazing tool and I love it (otherwise I wouldn’t have spent years learning it), but I wanted to point out that it can be — and is — often abused.” - Anna Hill. This just in from theblaze.com, "When you flip open a magazine or watch an ad on primetime TV, how much of the makeup or fashion model you’re seeing is real, and how much has been digitally enhanced? Anna Hill, who’s been using Photoshop since she was in her teens, is highly aware of how much we’re shown that’s been faked using technology, as demonstrated in a recent viral video that showed such a transformation in progress. “Many are edited so much, they may as well be advertising Photoshop rather than what they sell,” the 24-year-old student told TheBlaze in an email. 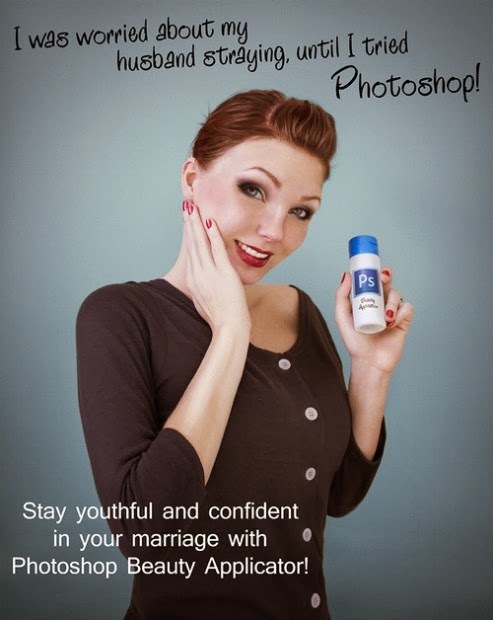 Whilst the work and the commentary have more to do with beauty and the media, it's illustrative to know just how much Photoshop can alter your reality. Is it a good or bad thing? It depends. Check out Anna Hill's work here and see for yourself. Thanks to @spreadys for this article. "All sorts of wild guesses and theoretical calculations exist about what the resolution of the human eye is, with 576MP a common claim. No one we can find has ever actually tested it . . . until now. In this report, we share our findings of testing various resolution IP cameras against the human eye. Here's a summary of the full test results, explained inside the report …"
With agencies looking at facial recognition technology, this article notes that the Obama administration is taking a look at it from the privacy standpoint. "The Obama administration on Tuesday said it plans to review the privacy implications of facial recognition technology.Lawmakers and privacy advocates have expressed fears that tech companies and government agencies are using facial recognition technologies to track people, often without their knowledge." The [NTIA] said the first meeting about the technology will take place Feb. 6, 2014. Normally, I stay away from comments about policing in Los Angeles. Today, however, I'm going to use a recent marketing campaign in Los Angeles to make a point about point about CCTV in particular and policing in general. According to the LA Daily News, there have been 23,265 thefts from motor vehicles in Los Angeles thus far this year. This time last year, there were 23,531. This time in 2011, there were 22,614. These numbers represent those crimes actually reported. With the blanketing of Los Angeles with CCTV cameras, and with the Mayor's goal of 10,000 sworn officers being met in 2009, you'd think that property crimes would be reduced significantly. But they haven't. If you can imagine the range of crimes being investigated, and the relatively low priority of property crimes, then you can understand why there are only about 6 or 7 staff assigned per geographical area to investigate property crimes. The total might be around 100 investigators. These 100 are responsible for over 23k crimes. That's a huge caseload. Enter CCTV. It's everywhere. If it's a deterrent, then crime should be down significantly. But, again, it's not. The tech is old, under maintained, and generally not fit for purpose. In many cases, companies have just replaced their old VCRs with a DVR. No upgrades to cameras or lenses. Many are trying to cover entire parking lots from roof-top cameras with small lenses. With a few police agencies actually publishing lists of crimes that won't generate a police response, and most having informal/internal policies about response priorities, this new marketing campaign's admission is probably the best advice. Crime is out of control. In Los Angeles, there have been over 90k Part 1 Crimes year to date. If you live in a small town, like me, that number is staggering and almost incomprehensible. There are so many crimes in most major cities that CrimeMapping.com can only map a few months of data before running out of room on its map. In the end, the police marketing seems accurate. The steps you take are your best defense against crime. Kinesense recently posted a contest of sorts on their web site and advertised it on Twitter. I've got a number of mystery files floating around my office, so my first thought was ... $25 per file? I enquired about a .nmv file. I've never seen one before a recent case. No one seems to know what it is. If you do, and know where I can get a player, send me a note. Kinesense couldn't offer help on this one. So, jump over to the Kinesense web site and try your hand at winning the gift card. This just in from Gigaom.com: "Adobe said in early October that it believed hackers accessed names, encrypted credit card and expiration dates and other data for about 2.9 million customers. But in addition, its investigation has now confirmed that attackers “obtained access to Adobe IDs and what were at the time valid, encrypted passwords for approximately 38 million active users,” according to an Adobe spokeswoman." The issue with source code theft, Acrobat, Acrobat Reader, Cold Fusion, and Photoshop, is that the bad guys can go through the code, line by line, to find vulnerabilities and start exploiting them long before anyone knows what’s going on. If you're a CC subscriber and ignored the letter that they sent requesting you change your password, you'd best log in an change it very soon. Pete Gagliardi recently posted this excellent essay on the ethics of working cases. Here's a sample: "So what makes the difference between good folks in this business and bad ones? I submit to you that it’s this difference that determines success and failure. Recently, I read an article discussing the Seven Deadly Sins and it got me thinking how they would apply in forensic crime solving operations. Here goes: Agree? Disagree? Other? Lust - Empire building - focusing on status, power and authority instead of serving the public. Gluttony - Pursuing and acquiring resources then not using them to their fullest crime solving potential. Greed - Refusal to form partnerships and alliances to share data, technology and resources. Sloth – A failure to make use of all the tools in the crime solving tool box – a failure to understand the meaning of “duty bound”. Wrath – Actions taken or actions withheld because of anger toward a particular person or agency. Envy - Rejecting proven best practices because you did not design them. Pride – An expert “I know best” mentality preventing collaboration with stakeholders to find a better way. The more serious the crime is, the more these seven deadly sins stand in the way of justice. Unlike the man at the liquor store who had been shot in the head yet lived to tell about it, murder victims can no longer speak for themselves, so society must speak for those who have lost their voices. It’s a responsibility as old as the bible which tells us to: Speak out for those who cannot speak, for the rights of all the destitute - Proverbs 31:8"
With training from Amped Software, you can have both. I'm working with Amped to schedule training sessions for FIVE, and Authenticate for 2014. 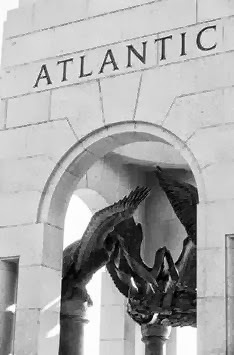 Tentative locations include the Toronto metro area, the Kansas City metro area, the Atlanta metro area, the Los Angeles metro area, and the Pretoria, South Africa metro area. If you'd like to host a class, feel free to contact me or the folks at Amped Software. We're also finalizing arrangements for an Advanced Concepts in Video and Image Analysis class to be delivered in 2014. Stay tuned. The classes will be small - less than 20 - and will fill up fast. The UK Surveillance Camera Commissioner held a free one-day conference on 23 October 2013. 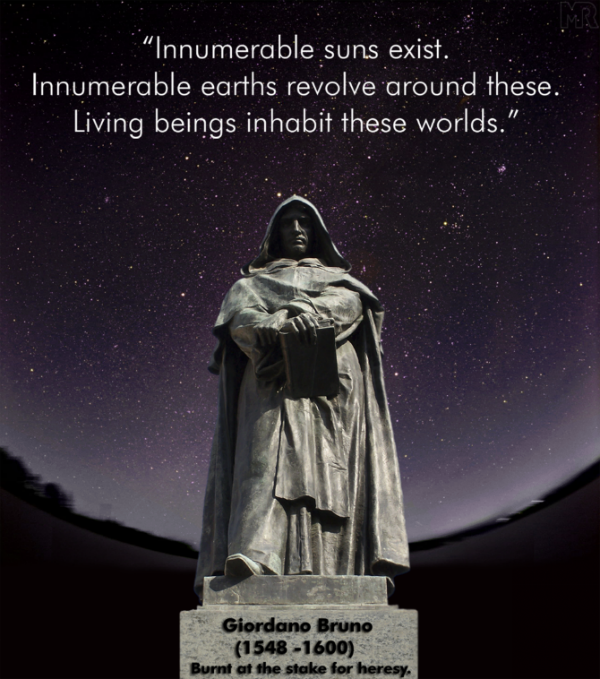 The conference documentation is now available by clicking here. 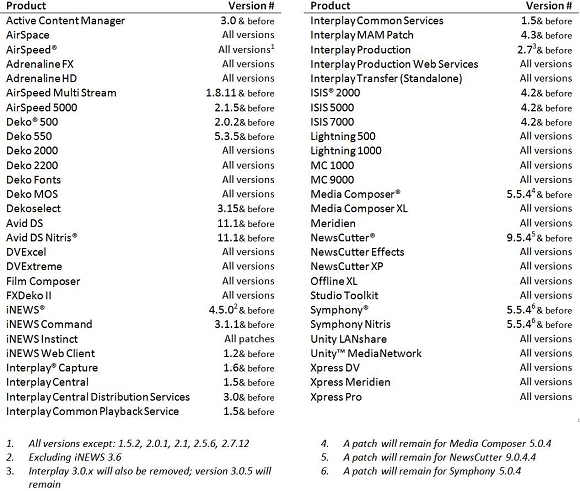 This just in from Adobe: "Apple today released the latest version of their operating system, Mac OS X 10.9 (Mavericks). We’re happy to say that both Premiere Pro CC and Premiere Pro CS6 are supported with this OS ..." Update: "We are aware that a small number of users are encountering stability issues after upgrading to Mac OS X 10.9. We are currently investigating these cases." This just in from Larry Compton: "Can you believe it's been nearly 6 years since Media-Geek's official launch? Over 1,500 verified members worldwide, and together we've helped to expedite thousands of investigations. A true testament to what can be accomplished through open information & resource sharing within our disciplines. Earlier this year I started my own DME & IT consulting business, and on November 1st I will be launching my new business portal DMEresources.com." I'm looking forward to Larry's new site and wishing him all the best on his new venture. This just in: "Nokia is bringing raw capturing to two of their flagship phones, the Lumia 1520 and 1020. They'll use Adobe's openly documented, non-proprietary Digital Negative format (DNG). Digital Imaging and Video Recovery Team (DIVRT): An Innovative, Tactical Tool for Recovering DVR Video from Surveillance Systems and Utilizing Those Videos to Resolve Criminal Investigations. Saturday, 10/19/2013 11:15AM -12:15PM , Room 204A. "Digital Imaging Video Response Team (DIVRT) training was developed in conjunction with the Philadelphia office of the FBI. It provides investigators with the necessary knowledge to extract video from crime scenes and quickly get them to the public and media. DIVRT has been such a success that the FBI is currently trying to pilot the program in other parts of the country." "Training for the DIVRT (Digital Imaging Video Recovery Team) program began in Feb. 2011. Representatives from each division were given laptops and $5,000 in software. Using a video editing package called Camtasia, detectives could now construct and edit a two-to-four-minute vignette, complete with headlines, subtitles and face-blurring capabilities, share the video with the office of public affairs via DropBox and see it on the department's YouTube channel in minutes." Comments withheld ... biting tongue .... argh! Camtasia or Omnivore, it's still a screen capture. You're still dealing with signal and not the data - the evidence. You're still engaged in a last case scenario with screen captures. Argh! In case you'd like to find out more about me, you're welcome to view my LinkedIn profile and connect. Interestingly, LinkedIn gives stats as to who visits and from where. 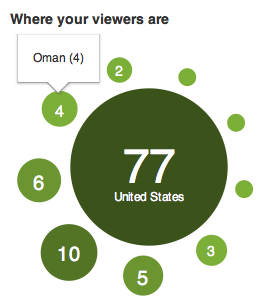 Taken as a percentage of the population, it seems that I'm huge in Oman this week. Who knew?! But seriously, I regularly participate in discussions in a few of the FVA groups over on LinkedIn. Feel free to come and look. Kudos to George for his latest post on countering bad science. I've seen an uptick in these types of requests myself. George is spot on, "These cases involve three different aspects of my work – video analysis, forensic photography, and photographic comparison – but the common thread is that I was retained in each case because these attorneys needed someone to counter bad science presented by opposing counsel. In each case, the attorneys retaining me weren’t planning to use an expert until opposing counsel did so, and they needed someone to counter the bad science that was being presented." It goes without saying that many who read this blog are government employees. During the US government's quasi-shutdown, many readers are feeling the pain of the political posturing that is going on in the Federal City. Whilst many people think that government service jobs are safe and secure jobs, the current mess highlights the perils of working for the government. The Washington Post notes this about the different types of employees that work for the federal government: "Does a shutdown mean everyone who works for the federal government has to go home? The Office of Management and Budget recently ordered managers at all federal agencies to conduct reviews to see which of their employees fall into each of these two categories. If a shutdown hits, the essential workers stick around, albeit without pay. The non-essential workers have to go home after a half-day of preparing to close shop." You read that right, "essential employees" get to work for the government without getting paid during the shutdown. "The 1.3 million or so "essential" civilian employees who stay on could well see their next paychecks delayed if the shutdown extends beyond Oct. 15. They should, however, receive retroactive pay if and when Congress decides to fund the government again. The 1.4 million active-service military members, meanwhile, will get paid no matter how long the shutdown lasts. That's because the House and Senate specifically passed a bill to guarantee active-duty military pay even when the government is closed." Government workers, like most in the corporate world, are a few pay periods behind when it comes to getting paid. So, the pay checks they're getting now is for work done weeks ago. As noted in the article, that buffer extends until tomorrow. As a community, we can help take the edge off the situation. We can hold pot-luck dinners, invite each other over for a meal, car pool, or any other way that lessens the burden that the current situation puts us all in. So for all of you federal workers and contractors, my thoughts and prayers are with you. If you're ever in the area, the first pint's on me. "How do you learn what the new features are and how to use them? The answer is the Photoshop CC Features panel where you can access new tools and features and watch videos all within Photoshop CC. To get the panel, launch Photoshop CC and then open the Adobe Exchange Panel by going to Window >Extensions>Adobe Exchange. 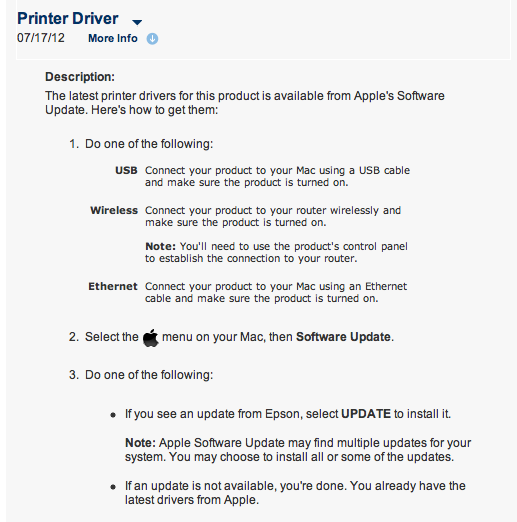 You may need to restart PS in order to apply updates." Use the Search box to search for panel. 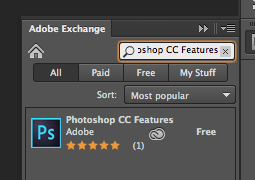 Once installed, it's available from Window >Extensions>Photoshop CC Features. Once loaded, take the tour of Photoshop's newest features. We still do get the occasional multiplexed video. If you're lucky enough to have a hardware demultiplexer, then you can easily port channels into your capture device. But, if you don't ... or if you want to save time, you can demux in software. Software demultiplexing is one place where Amped FIVE rocks. In my example, taken from a very old case, FIVE easily found the 16 camera views. My sample isn't very long, only about a minute and a half. The ability to find the cameras, and the time it takes to separate them all, aren't related. 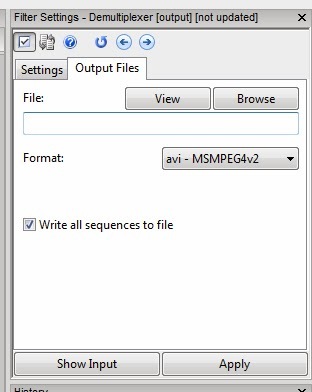 Processing time is related to the length of time contained in the file. 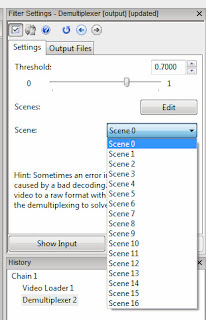 The latest update automatically saves the different streams/views to individual files when demultiplexing. It's a huge time saver. Just check the Write all sequences to file box in the Output window, and FIVE saves the streams to your project folder. 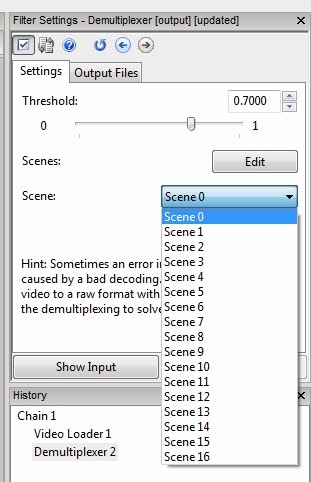 The Scene settings drop down controls which camera view is displayed in the Viewer for processing. Was Shakespeare better in the original Klingon? In an interesting twist, I recently found myself in a situation with a DVR where the manual was less than helpful. The manual, fortunately, was written in multiple languages. The English version was horrible and offered little help. For some odd reason, the company didn't have a capable English translator and likely resorted to Google's translation services - it was that bad. But, the interesting part, the German version was spot on. The nice thing about the German language is it's preciseness - with words meaning only one thing. Given this, translation into/from German is easy. Thank goodness I payed attention in college level German. My German professor said that it would come in handy some day. Turns out ... he was right. In Honor of Our Veterans. The Honor Flight Network is an outstanding way of paying a small tribute to those who gave so much — a memorable, safe, and rewarding tour of honor. My family has a long tradition of military service. The support of veterans is one of my family's charitable missions. One of the groups that we support is the Honor Flight Network. "Honor Flight Network is a non-profit organization created solely to honor America's veterans for all their sacrifices. We transport our heroes to Washington, D.C. to visit and reflect at their memorials. Top priority is given to the senior veterans – World War II survivors, along with those other veterans who may be terminally ill.
With the National Park Service's decision to barricade and guard the National WWII Memorial against visiting vets and their families, I want to take this time to encourage you to examine the issue of how our country's vets are treated. If you feel called to do it, please consider supporting the Honor Flight Network. Last month, I posted about a new piece of software that's taking the FVA market by storm. A few days ago, I received a personal tour of the software's many features from SIFT's Customer Support Manager. But, before you go thinking that such a tour is only available to powerful and influential members of the media, or before my head swells ... every new customer gets this hands on tour of the software. Pretty cool, eh? One of the features that really stood out to me was their implementation Multi-Angle Video Display (multi-cam mode). Remember that FlexView Pro isn't an NLE, so there's no editing involved. Here, we're taking the videos as they are, in their native formats and running them in sync for display purposes. I've had to set these jobs up countless times after big incidents involving multiple cameras, or where suspects show up on multiple cameras / or multiple systems (in the case of pursuits). The best part of this functionality is the Sync-Lock. If two Elements of an Asset are not recorded in sync together, the Sync-Lock tool can adjust their timelines so they will play back in sync. With Sync-lock, the LOCK button allows for the Elements timelines to be Locked or Unlocked in relation to each other. Simply scrub each video's time line to the point where they are in sync. Then click on the Lock. When playback begins, they will be in sync. So for this example, the videos were loaded, sync'd and locked in less than two minutes. 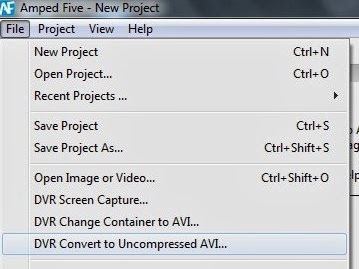 You can choose to play the videos back on your computer, or package the project up for distribution (includes a free player in the distribution package). Import multiple camera views, sync them up, lock them down, and view them in just a few steps. 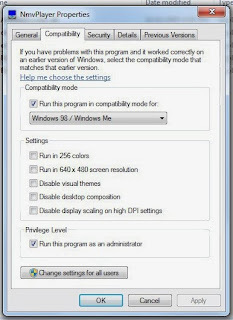 No worries about converting the files to something your NLE will accept - FlexView handles anything that will display in Windows Media Player, and Milestone files as well. (If you need a container conversion, you know how to do that quickly as well.) No worries about expensive hardware. I ran the test on my famous $350 Lenovo laptop. After the tour, the discussion about business models was quite illustrative of the mindset of the newcomers to the FVA market. Rather than extending the life of decades old tech to squeeze out every last dime of profit, these new players are giving us entirely new, purpose built software based on our needs as they are today, with flexibility to handle tomorrows issues. That's a plan that appeals to the geek in me. And, it's that kind of attentiveness to the emerging needs of law enforcement that will win them many customers in the days and months to come. "As your trusted partner, we strive to ensure you have timely and complete insight into what’s happening at Avid – to help you succeed both now and in the future. To that end, we are writing to make you aware of some very important changes that will affect access to your Avid® software. Due to a contractual change with our third-party Java software supplier, Avid is implementing support for an Open Source Java alternative in our products moving forward to ensure an optimal user experience at the lowest cost possible for our customers. However, this means we will no longer offer software installers for many legacy versions of your Avid video and broadcast products after November 1, 2013. Because of this, we strongly encourage you to follow general IT best practices and back up all of your Avid software installers now to ensure that you have what you need in the future. Because of these changes, please be sure that you download and create backup copies of the installers for any affected Avid software you own and save them in a secure location. You’ll find your available software by logging in to your My Avid account and looking under “My Products”, “Products Not Yet Downloaded” or the “Avid Video Download Center.” After November 1st, Avid Customer Success, Professional Services and Avid Resellers will not be able to assist with the affected software installations listed above; you will have to rely on your own backup copy to install your software. 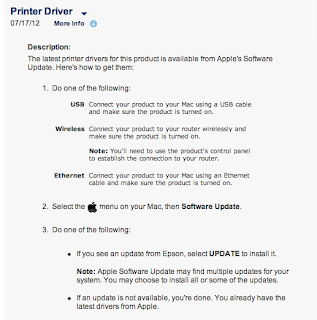 Following these recommended procedures now will ensure that you have the ability, if needed, to reinstall your software anytime after November 1st. At Avid, we want to ensure we are fully preparing you for these upcoming changes so that you can make the most of your Avid software—both now and in the future. For more information, tips for downloading and backing up software, and answers to questions, please visit our Avid Software Availability forum. We apologize for any inconvenience this may cause. Thank you for your continued support." Ed note: if you're an Ocean Systems customer, remember that they rarely ship Avid media (if at all) with your workstation order. It's important that you log into your Avid account today (it will need to be current) and download everything to which you are entitled. 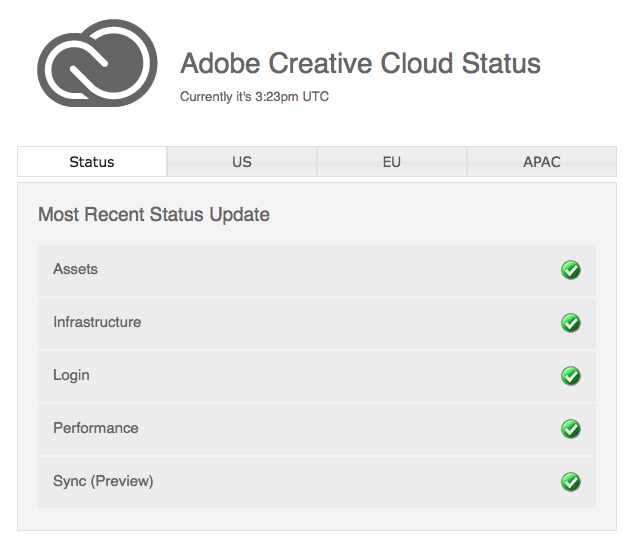 If you decided, like some agencies, to not renew your Avid software service contract ... well ... sorry. Hopefully, you downloaded everything before you quit the program. As a long time loyal customer, a long time LEVA member and LEVA instructor, and a member of the public service video/image analysis community, I have a particular problem with the language in your recent marketing campaign. Your statement, "With the Omnivore Field Kit, first responders and forensic video analysts alike can go on scene and walk away with an uncompressed copy of the evidence they need to investigate the case," I believe is misleading and borders on a false claim. I believe that it does harm to your trusted name in the community and perhaps will do harm to those who do not take the time to investigate your claims and trust that in purchasing your Field Kit, using it at a crime scene as their first and only option, will in fact "walk away with an uncompressed copy of the evidence they need to investigate the case;" not knowing that they are leaving so much valuable data behind. So much has changed since we first published Best Practices for the Retrieval of Video Evidence from Digital CCTV Systems (DCCTV Guide). One of the concerns that we had was that people know the difference between video forensics and computer forensics - at the time, we weren't trying to tell folks that they had to follow computer forensics protocols in order to obtain valid multimedia evidence. That is, if they could coax the machine to give them a copy of the data. We gave the community a flow chart of options, options for obtaining the data on various types of media. When all else fails, we noted, resort to signal capture technology. Again, signal capture was/is a last resort option. The Field Kit, relying on the Omnivore, is a signal capture device and is thus a last resort - not something for first responders, certainly. The industry has changed and responded to the needs of forensic video analysts. There now exists a suite of tools from various manufacturers to image drives and process the data in a meaningful way. Do I mean to say that the Omnivore has no value? Certainly not. I own one and have had occasion to use it when all else failed. When all else failed, it saved my bacon. It offered the trier of fact the only look at the data that was possible. But again, it was the last option on my flow chart; and I'm a trained specialist who knows how to use it effectively, how to document it's use, and so forth. Therefore, I'll ask a simple request. I do not ask for you to stop marketing the Field Kit or the Omnivore. You are certainly entitled to make a living, to profit, and to thrive. Please, don't be the braggart that leads the good and well meaning astray. I simply ask that you re-word your marketing such that your customers and potential customers are made aware of what they are buying; something akin to "When all else fails, we're here for you." Heck, I'll even pitch in with the example that I reference above and allow you to quote me. So, please. Be the one that saves the day. Be the one that your customers can rely upon, when all else fails. Over on Klout.com, I was asked a question, "What is the best codec to export in premiere pro? I am running on Mac osx. 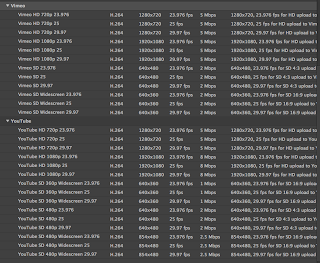 1080p footage, probably for YouTube and Vimeo HD?" 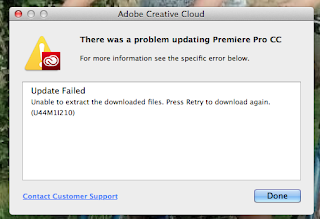 Not knowing the version of Premiere Pro, I directed my response to the options available in the Creative Cloud version. A simple way to export the same file to multiple locations is with the Adobe Media Encoder, included in the Creative Cloud subscription. 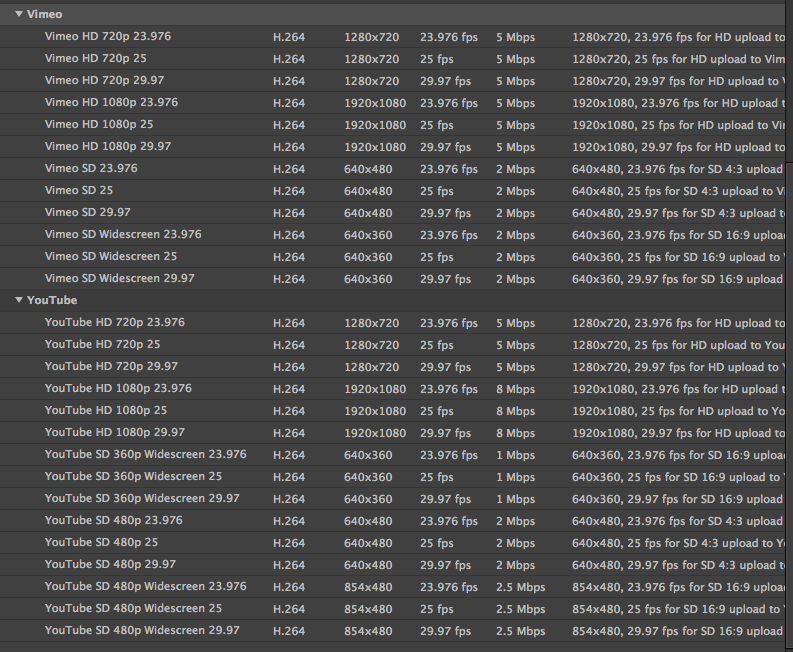 As you can see from the graphic, there are a ton of options for exporting video for YouTube and Vimeo HD. As for "the best," it depends on the source and the target. A little trial and error will be necessary. Does Photoshop CC Shake Reduction pass the test? One of the new features in Photoshop CC is Shake Reduction. Thankfully, I'm now only getting one e-mail per blast from Adobe (thank you Adobe Marketing for straightening that issue out) per news release. According to Adobe, you can "quickly restore sharpness to images blurred by camera motion, whether the blur was caused by a slow shutter speed or long focal length. With Camera Shake Reduction, you can make your shots steady — even if your hands aren’t." As always, I like to test new features with older files that I know have specific issues. To me, when I hear "Shake Reduction," I think PSF. So, lets see how well it performs. 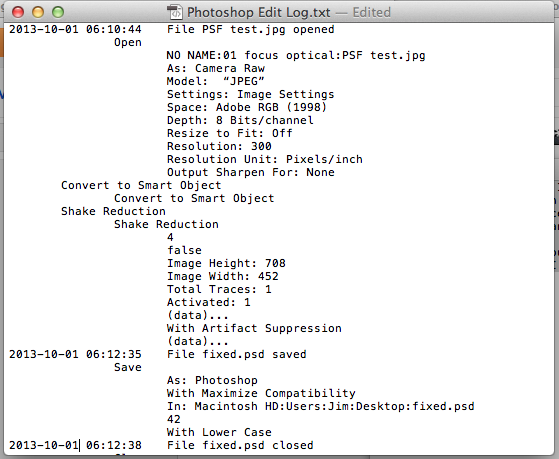 First, I open my file and convert the image to a Smart Object (Layer>Smart Object>Convert to Smart Object). I do this as I may want to go back later and edit the settings, and this is the only way to do that. Simply choosing Filter>Sharpen>Shake Reduction, without first converting the file to a Smart Object, won't allow me to edit the settings later. But we already know about, and love, Smart Objects. The Shake Reduction dialog box opens, and for my file, automatic produces a modern art masterpiece. It does not automatically detect and correct the PSF issues in my test file. Thus, I must perform a manual correction. In the top left corner of the dialog box, you'll see four icons. We'll want the Blur Direction Tool (the second from the top). We use this to trace the point that has become a line (PSF). Here, it's a bit off its mark initially. But there are further controls available. With these controls, I can visually dial in the PSF and correct the problem. I don't want smoothing as details are important. Artifact Suppression dials down the ripple effect of this process. Once I'm satisfied with the results, I simply click OK and continue to work my workflow. As the PSF process corrects focus, it's done at the Focus step of my workflow. After the focus issues are addressed, I move on to global color and light issues. That's the good news. Here's the bad. 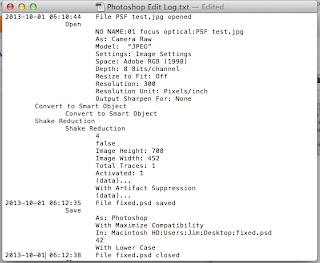 If you're relying on Photoshop to track your edits and record your settings, you'll be disappointed. It doesn't record the settings for this filter. 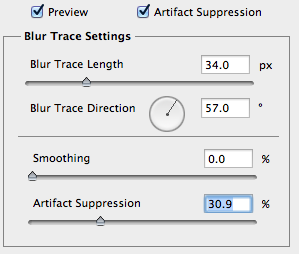 In terms of reproducibility, you'll need to record the settings yourself; Photoshop seemingly won't. 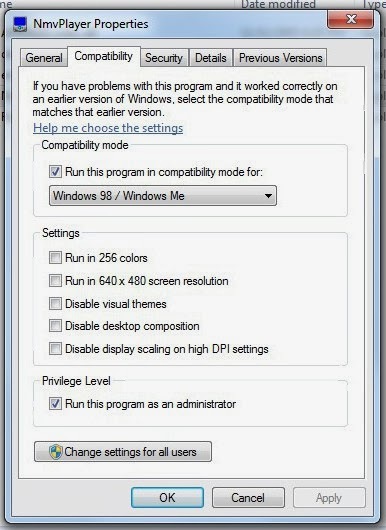 Screen shots of the settings area might help you here. So, I'll stick with FIVE. FIVE gives me the control I need. It's quicker to the punch in performing PSF corrections. It can handle, precisely, all my PSF needs. It reports all of the settings, gives me the plain English explanation of what I've done, as well as the reference for the algorithm in the report. And, as Photoshop is still a verb in California, I don't get all the baggage that comes with trying to explain how the image was "Photoshopped" correctly. This was posted over in a LinkedIn group, so I thought I'd share it with everyone. This comment is from the creator of Amped FIVE, Martino Jerian. "I know it's very difficult to have a one-stop solution for everything, especially if you are proficient and know very well other tools. When I started working on FIVE my vision was precisely that: a one-stop solution (exactly as written in our about page). I know that's a very ambitious target, but it is what is driving our development in the right direction. It is something you can never fully reach, but I think we are asymptotically going there. The thing I hate most is to use different software to solve one single task: converting, exporting, importing is a boring process, tedious and error-prone (unless you work completely via scripting unix-style, but takes a lot of time). When working on cases I rarely use anything else than FIVE (mainly for format conversion ffmpeg and VirtualDub). If I have a new need, rather than look for third-party software, I create a new tool for FIVE, so that, sooner or later, our customer can benefit from it as well. Granted, that is easy for me, being the developer, but very often we try to do that for our customers too, it the request is feasible. Jim already told you that in a previous post. For what regards George Reis, I implemented several of his requests, but he's so demanding I have to start a new company just to keep up with his features request ;)"
Sinar rePro for Latent Print photography? A few years ago, I was experimenting with a Hasselblad camera for surveillance photography. The results were stunning. I also examined the H4D for studio use. But that was then. Now comes the Sinar rePro and it gives me a whole new set of ideas - shooting medium format for in-lab latent print photography? Back in'09, I was testing ACR for Latent Print Analysts and made the comment that if you had $80k to spend, try the Foster+Freeman DCS 4. Re-examining the Foster+Freeman offerings some years later shows that DCS 4 is still on offer. Thus, if I had the same $80k to spend, what would I buy? I'd take a serious look at the Sinar rePro. "The legendary precision of Sinar view cameras for analog and digital studio photography is already well known and highly valued by a great number of users around the world. Based on the same standards, the Sinar rePro is specifically designed to meet the requirements of reproduction photography. On the Sinar rePro only the essential operating elements have been implemented, the resulting simplicity of operation leads to an optimal reliability and prevents handling errors. The Sinar rePro fits seamlessly in the universal Sinar System and it provides an easy workflow with maximum accuracy." 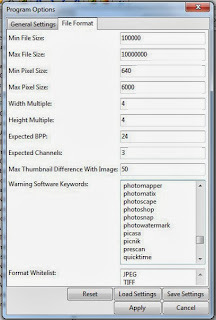 Capturing for a latent print workflow is almost identical to a reproduction workflow in terms of precision / accuracy. This adds a touch more control and, with the right digital back, a huge increase in pixels (the eXact allows for a 192MP 16bit RGB output). SWGFAST has their recommendations in terms of minimums, but why settle for minimums if you've got $80k to spend? Plus, "The basis for the accurate image sharpness is the perfect flatness of the object to be captured and the parallel alignment of the camera. A further novelty provides valuable assistance: Sinar parallel is an excellent device for precise adjustment. The battery powered Sinar parallel is placed on the capturing table and its laser beam reflects from a mirror on the camera. Precise alignment of the camera is achieved when the laser beam exactly hits the middle of the crosshairs of Sinar parallel." Precision alignment is a key to achieving great results. So, if money was no object, and I wanted a very high megapixel result combined with benefits of a medium format reproduction camera set-up, then I'd really like to see the results achieved of putting the Sinar rePro together with a decent light source. 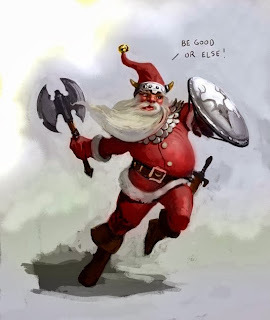 Hmmm ... Christmas is coming. "It lacks the editing power of a general-purpose editor such as Adobe Premiere, but is streamlined for fast linear operations over video. It has batch-processing capabilities for processing large numbers of files and can be extended with third-party video filters. VirtualDub is mainly geared toward processing AVI files, although it can read (not write) MPEG-1 and also handle sets of BMP images." Thus, I'll need to either find or write filters to extend the capability of Virtualdub to work with proprietary file types like .pqz. So I clicked on the third-party video filters link, which displayed the following: "I've decided that I don't have the time or energy to hunt down and maintain a list of all the current video filters available for VirtualDub, so I've appointed Donald Graft as honorary filter website maintainer. You can find his own filters, and a comprehensive list of other third-party filters, at: http://neuron2.net/"(don't go there unless you want to be attacked). There's lots of links to choose from in no particular order. But, I discovered a big problem on the A/V Links page (other tools and filters), the site tried to load a java script exploit to compromise my browser and gain access to my computer. Thankfully, I have a decent firewall and AV solution, so it blocked the attack. Therein lies the problem for me. I'm not the greatest when it comes to scripting on my own, nor do I have the time to attempt the many different things I do with a scripting approach, so I'll have to find these scripts on the web. Like searching for codecs, searching for scripts from unknown sources is dangerous. If you're not familiar with scripting - you're launching a program or extending the functionality of a program (script) on your machine. Heck, just getting to the page with the list of scripts was problematic for me - the page automatically launched an attack on my computer. Thus, I don't like the hassle - so I choose commercial software. As I need to be able to reproduce other experts' work, I tend to have a copy of just about everything from the horribly expensive (MATLAB) to freeware like ImageJ. So just because its free, doesn't mean it's without cost. Make sure you're well protected before going off into freeware script land. Evidence Technology Magazine is out and has a ton of good information, as usual. There was one article that caught my eye: Surveillance Videography Using DSLR Cameras. The author does an outstanding job at explaining the various surveillance scenarios and the best approaches/gear for each situation. Unfortunately, the author left out one important detail. If you're a privateer doing surveillance in a public space using an off the shelf DSLR, you may unknowingly be committing a felony in many jurisdictions. In California, Penal Code Section 632 is quite clear: "632. (a) Every person who, intentionally and without the consent of all parties to a confidential communication, by means of any electronic amplifying or recording device, eavesdrops upon or records the confidential communication, whether the communication is carried on among the parties in the presence of one another or by means of a telegraph, telephone, or other device, except a radio, shall be punished by a fine not exceeding two thousand five hundred dollars ($2,500), or imprisonment in the county jail not exceeding one year, or in the state prison, or by both that fine and imprisonment." "632 (d) Except as proof in an action or prosecution for violation of this section, no evidence obtained as a result of eavesdropping upon or recording a confidential communication in violation of this section shall be admissible in any judicial, administrative, legislative, or other proceeding." Penal Code Section 633 is what gives the law enforcement official in California their permission to conduct audio surveillance, and an exemption to PC 632. Other jurisdictions have similar language, as I've noted previously. Remember, if you aren't a law enforcement official conducting an investigation and subject to your agency's policies, and you drop an open mic into a public space without consent of everyone within reach of the mic ... then you're asking for big trouble. In some areas, just using your iPhone to record you and your friends at the local pub can get you into trouble. But, if you're a law enforcement surveillance specialist, the article is great from a gear buying standpoint. This just in from the folks at Amped Software: "In the latest version of Five, we have added several improvements, like the possibility to select the layers of calibration lines to show on the picture, and the possibility to draw free hand lines (not constrained by the perspective) to help with the estimation of ground floor points. In the just released update, we added another useful feature to the Measure 3d filter, which is the ability to automatically calculate the camera position with respect to the ground plane. Thanks to the calibration of the perspective, once you set the reference measure, you’ll know automatically the height of the center of the camera optics from the ground. 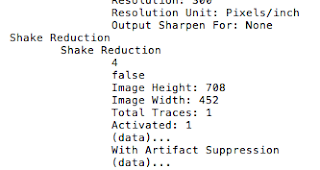 You can simple read the value from the Camera Position parameter in the Reference tab." Some adjustments work best if you can isolate the I-frames in a video. Sometimes, you simply want a visual cue as to what type of frame is being displayed. Now, a recently added feature in FIVE helps solve that problem. In the Player Panel, frame type (I,P,B) is displayed after the frame number, if the info is available. And, better still, you can select only the I-frames with which to work. 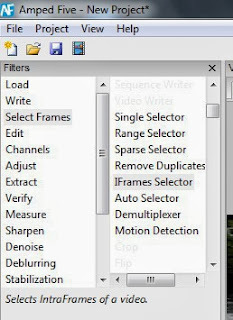 From the Select Filter menu, click on IFrames Selector. Wait a few seconds as FIVE scours the file and returns the I-frames for you. 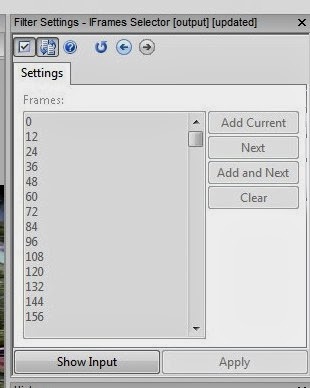 So, not only can you select only the I-frames, the filter's menu will display the frame numbers of the selected frames. 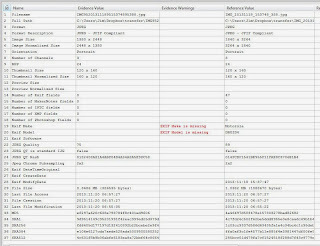 Better still, the selected frame numbers are entered in the report automatically. How cool is that?! The more people see Amped FIVE, the more people share with me what they think is a huge selling point - easy conversion of proprietary file containers. For some analysts, this simple task represents 70% their daily work. With just a few clicks, proprietary containers can be converted and the files opened for use in FIVE. If all you need to do is convert the file for the investigator, then just write the file out to your chosen format ... and you're done. FIVE offers an excellent level of control that's easy to understand. I doubt that anyone disputes Detroit's significance in the history of the automobile. In the first half of the 20th century, Detroit continued to grow on the back of the powerful auto industry. The US car industry could do no wrong ... until the 1960's. In the 60's and 70's, the world changed. The world wanted a different kind of car. Companies from Japan and Germany reacted to the change and thrived. US companies scoffed at the change, and are now largely gone. In 1950, you would have been laughed out of the room if you suggested that VW or Toyota would outsell GM worldwide. Today, it's a reality. Yesterday's auto industry wasn't nimble enough to react to world trends. I think about the 65' Chevy that I rode around in as a kid, Dad proudly at the wheel. Today, at 6'7", I can't fit in comfortably in a Chevy. Amazingly, my Honda Fit has more room and better fuel economy than its American equivalent. But, this is an FVA blog. So, what does this have to do with video and images. A ton, actually. I see the forensic video industry as the US in 1970. The world is changing. But, the big players aren't nimble, they aren't reacting to the changes in the law and the world. Adobe and Avid products demand bigger GPUs and subscription pricing in the face of shrinking agency budgets. Both target the larger photographer and videographer market, leaving the law enforcement side to struggle to afford the new products and to fit them into their workflow - big expensive square pegs for shrinking round holes. Then, like German and Japanese auto makers of the 60's, along comes small companies like Amped Software, GP Sift Technologies, DME Forensics, and so forth, offering purpose built solutions directly to the LE market. 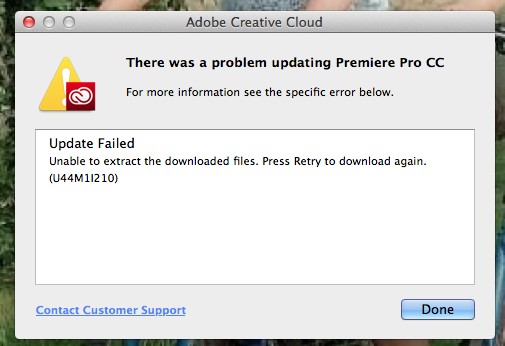 I've been asking Adobe to include FFT in Photoshop for over a decade - it's still not there. FFT was in the first release of Amped FIVE. We've been wondering at how to work with native files effectively. FIVE and GP Sift have addressed it in a number of helpful ways. 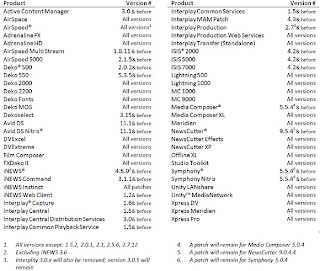 Amped and GP SIFT are Milestone partners, why aren't Avid and Adobe? With Milestone providing the technological backbone to almost 100% of LE's camera systems (Axis & Sony based pole cams, CCTV, etc), why wouldn't the big boys want to partner with them? So, when the US car industry stopped making cars that supported me and my needs, I shopped around and found Honda. I'm wondering if the big boys of the FVA industry see what's going on. I'm wondering if they and their partners can react in time. Judging on what happened at LEVA, I'm not holding out hope. The job of a video analyst has evolved. I mentioned in previous posts that the game has changed. Here's another bombshell. In the future, you won't need an NLE. And, guess what ... the future is now. Say good bye to your NLE. Many of the folks that first started working with video and images in law enforcement came from a production background. They were well versed in broadcast video technology. At the time, it made sense to structure a workflow around products from companies like Avid, Adobe, and Apple. After all, what else was there? Over time, new features were added to your favourite NLE that could be used to assist with case management and courtroom presentation. But in the end, NLEs were expensive and offered a steep learning curve for folks in law enforcement without a background in media/production. For me, I like to have it all. But, that being said, I work for clients and court systems that don't have everything that I have. I have to be mindful of discovery / repeatability issues when I begin casework. If I use Avid software, and the opposing expert doesn't, how will they be able to view my bin and verify my work. Adobe products have free trial versions, but the same issues will hold true. The additional wrinkle for me ... Photoshop is a verb. Traditional production oriented tools like Avid's MC and the Adobe CC line are generally not used in my workflow anymore. So, how might I go about creating my demonstratives for court and sharing them with my clients. Meet GP SIFT. If you haven't heard of them, you might start by reading this white paper or watching this video. SIFT Technologies offer solutions to a number of my current problems, from live capture of interview room and pole cam feeds (Milestone based), to evidence management, to their FlexView product - digital evidence viewer and presentation creation. When I first heard of this company and their product, I knew what a stir they/it would create. It runs on just about any Windows PC. It's reasonably priced. It offers tons of annotation/telestration features. You can trim audio/video files whilst protecting the integrity of the original (works on a proxy). Can be easily shared and protected. Whilst they were a vendor at the recent LEVA conference, I'm not sure if folks knew what they were seeing. I did, immediately. SIFT offers an alternative to recurring payments and expensive service contracts. It offers a purpose built software for our unique needs. It offers a ton of flexibility. And, as a Milestone partner, it offers a way to work with all the native Milestone video that I get (facility and pole cams). So, if your agency has Axis based pole cams, if your stations have a Milestone based CCTV system, if your corporate clients are standardized on Milestone (about 70% of the large scale facility market), or if you're looking for a cost effective alternative to the production oriented NLE, give SIFT a look. I know that you'll be impressed.